Program #CHON049. Recorded in Boulder, CO on December 13, 1989. 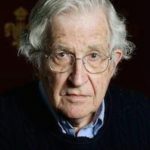 Noam Chomsky calls in to David Barsamian’s program live on KGNU radio.